Climb aboard the train on a crisp winter evening and warm up with friends or family as you sample beer! This winter sip on a selection of five beers as you ride through Cuyahoga Valley National Park after dark on one of our Ales on Rails™ excursions. Each train ride is two-hours, and in addition to beer samples, passengers also receive light appetizers and a commemorative beer glass to take home! Seating options for Ales on Rails™ are available in suites, lounge, dome, first class, table car or coach. Tickets range from $60 to $95 per person. Read below for 2019 Ales on Rails™ dates through February! We’ve compiled the top five beers most highly rated, so you don’t have to! Featuring five beers rated highly by Beer Advocate. Celebrate Valentine’s day with these Cincinnati-based brews! 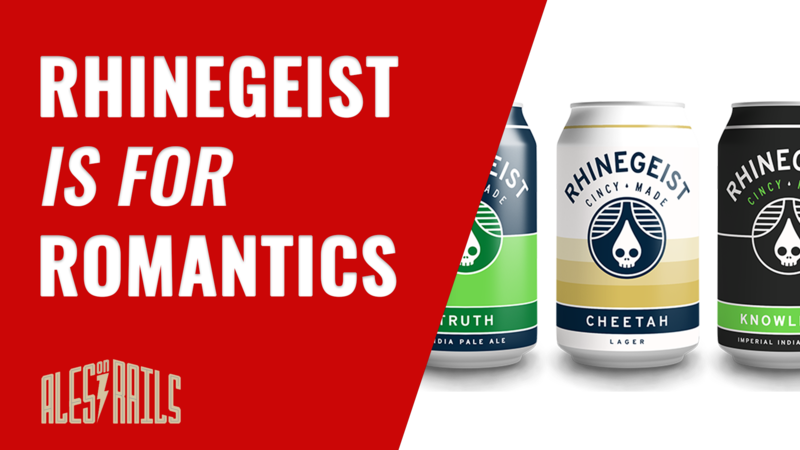 Featuring five beers from Rhinegeist. Enjoy beer right from the Rubber City! Featuring five beers from Akron. Enjoy the best of the best from the Bluegrass State! Featuring five wines from Altech’s Kentucky. Please note: this excursion is only for passengers ages 21+. Not a beer person? Check out our Grape Escape excursions instead! Follow us on Facebook, Twitter and Instagram to stay current on new events!